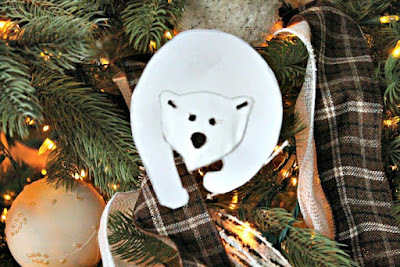 Of Faeries and Fauna livens up the tree with this Polar Bear Christmas Tree Ornament. 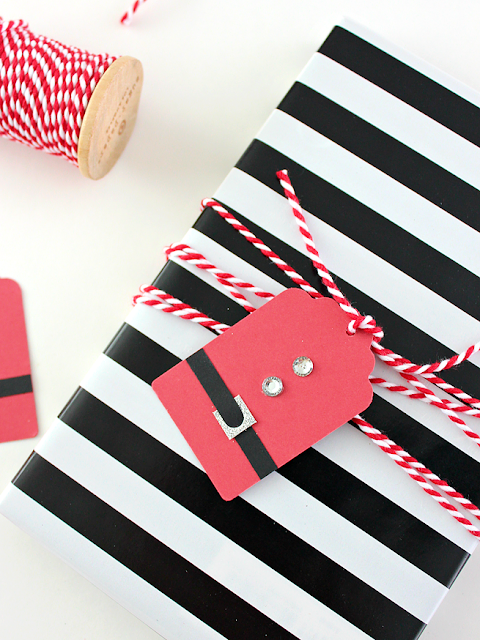 White House Crafts makes gift giving fun with these Santa Suit Gift Tags. 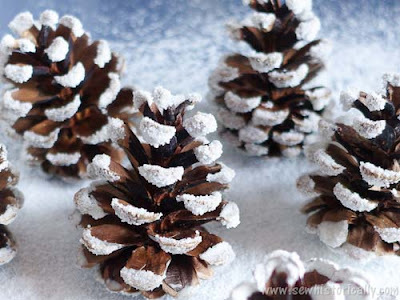 Sew Historically shares how to make your own eco-friendly Snow Pine Cones. 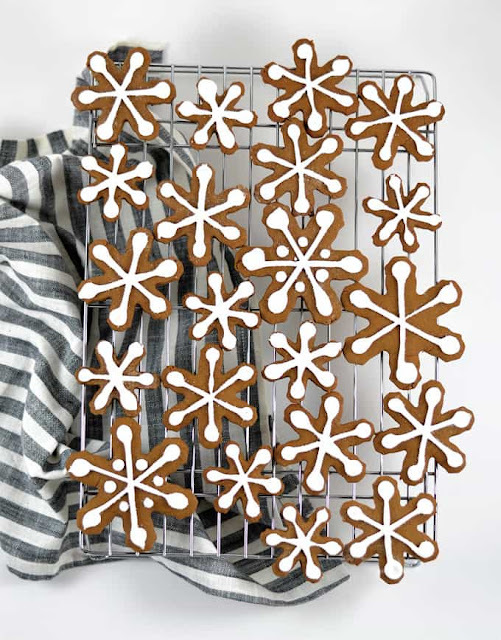 Burlap and Blue sweetens up the holidays with these Gingerbread Snowflakes. Lilia Craft Party brings some color to the holiday with this Christmas Baby Crochet Set. Hope your week is off to a great start. Thanks for hosting! 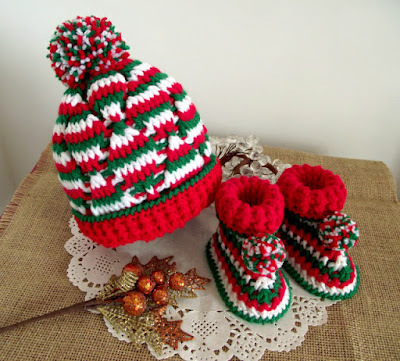 Thank you so much to featured my Christmas baby crochet set pattern, Happy Holidays! Thanks for the party, Julie! Hope that you are having a wonderful December! Thanks for the party, Julie! I hope you're having a wonderful holiday season!